A year ago Splatterpictures launched for the first time. It was a small idea; I wanted to write about horror. I wanted to talk about the weird movies I watched at 1 AM as a kid when I was supposed to be in bed. So many great memories of my childhood are speckled with horror and sci-fi. Staying up with my mom every Saturday night to watch Tales from the Crypt or watching a weird monster movie with my dad. Splatterpictures has really given me something to be proud of and it’s all thanks to you guys. And that’s really what this post is about. I want to sincerely thank everyone who helped me get Splatterpictures off the ground. My family and friends have been extremely supportive of this endeavor and I owe them a lot for that. My regular readers have gone above and beyond with their donations and it has only made me want to work even harder to ensure you guys get regular and quality content. The internet is a funny beast and it is really as free as you want it to be. I have some fantastic stuff coming up in the next few months. Looking back on some of my first posts and looking at my latest one it’s funny to think about how much the site has changed over the last 12 months and it really makes me excited for how much farther it can go. 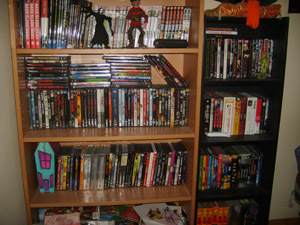 Oh, and just incase you’re worried I’ll run out of movies. This entry was posted on April 13, 2012 at 8:17 pm and is filed under Updates. You can follow any responses to this entry through the RSS 2.0 feed. You can leave a response, or trackback from your own site. Congratulations and thanks to you for keeping us horror fans entertained and informed.